There are plenty of trains and buses available from Berlin that reach Dresden in 2 -2.5 hours depending on the connections. The buses are the most frequent and direct ones and run round the clock. You can plan it ahead of time by visiting Goeuro or Busrada. 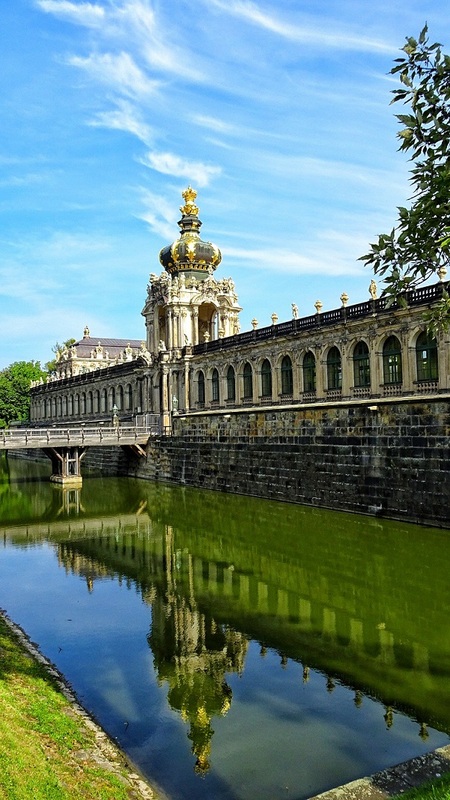 Dresden is the capital city of the Free State of Saxony in Germany. 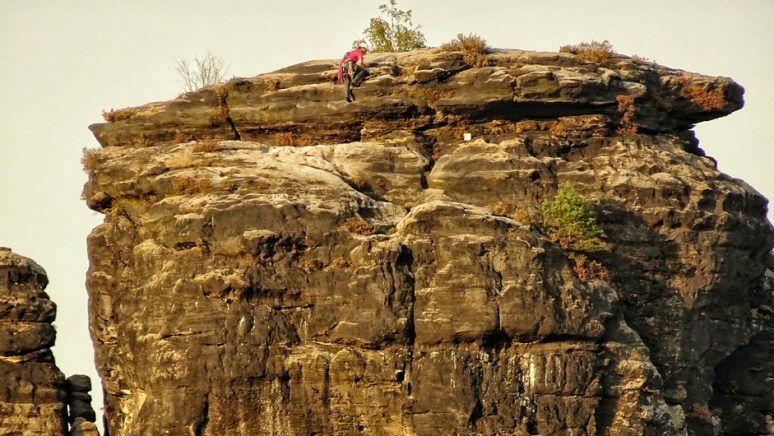 It is situated in a valley on the River Elbe, near the border with the Czech Republic. 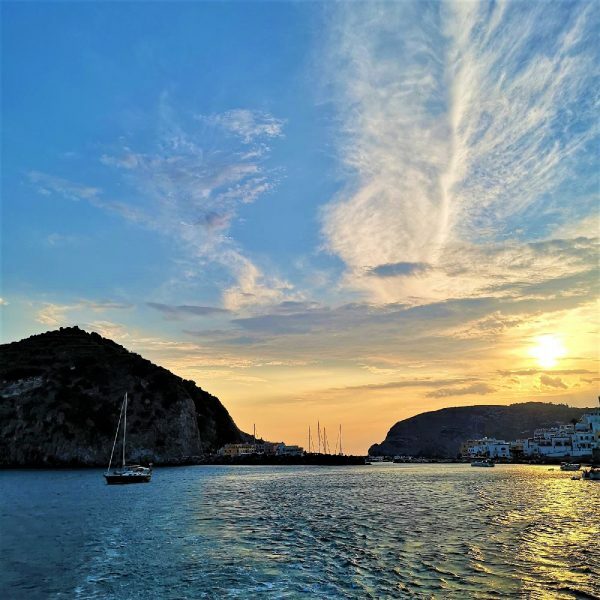 Its compact old town is one of the well preserved and most visited historic towns in Europe and certainly takes you back in time. 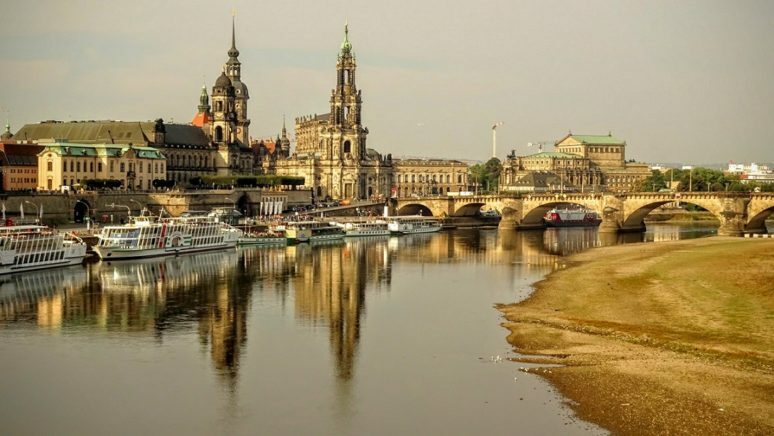 Dresden is rightfully known as the ‘Florence of Germany’. 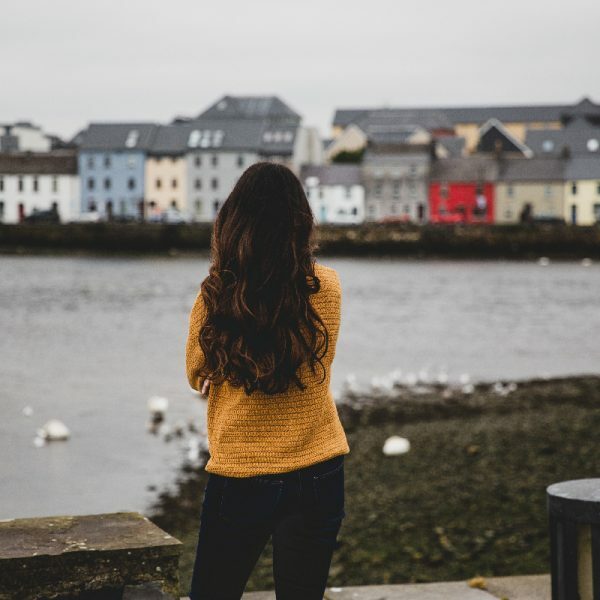 You can’t stop yourselves from falling in love with the narrow winding cobbled streets of this time capsule old town, reverberating with the sound of horse carriages. This city is just perfect! 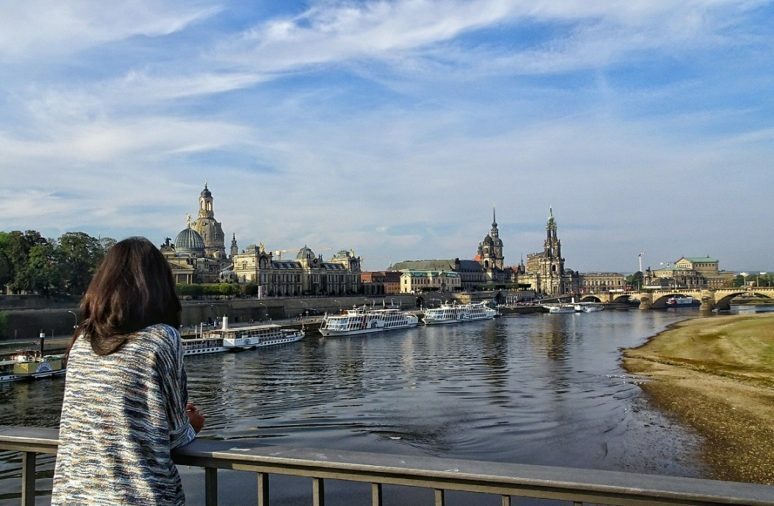 As soon as you enter Dresden, you just can’t miss the panoramic view of the Old town and the bridge over River Elbe. There are two modern bridges on either side of the main old bridge called ‘Augustusbrucke’ and both of them offer spectacular views depending on the position of the sun. 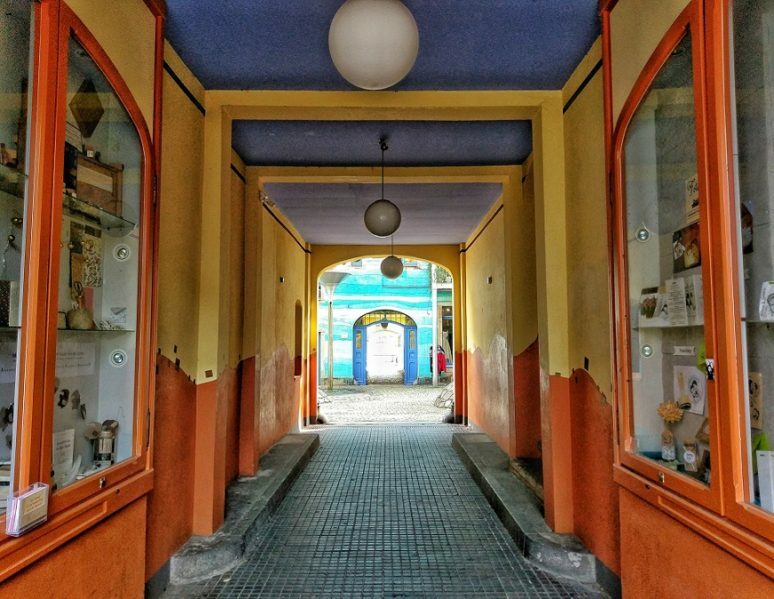 Once you are in the Old Town, all the places are very much next to each other, and you will come across most of the monuments more than once by just wandering around the streets. Right next to the bridge are the Dresden cathedral, the Opera house and some parts of the Dresden castle, including its ornate city gate. The dome of the Dresden Frauenkirche (Church of Our Lady) is visible from almost every alley and street of the old town. 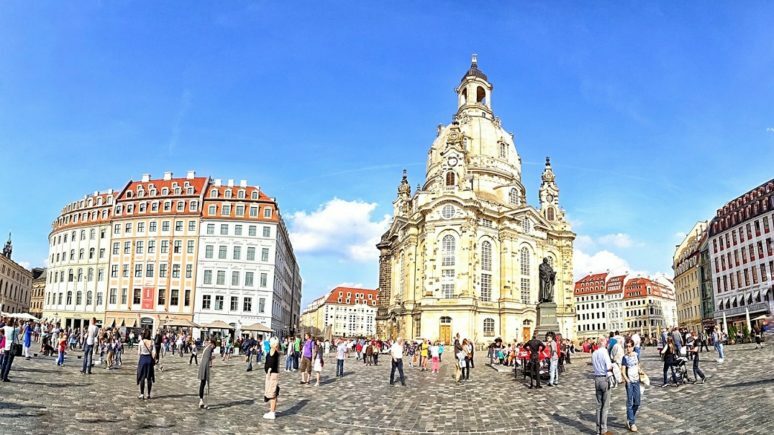 Dresden’s Frauenkirche is a symbol of the suffering of German civilians after its destruction in World War II bombing and now of reconciliation after a painstaking restoration. 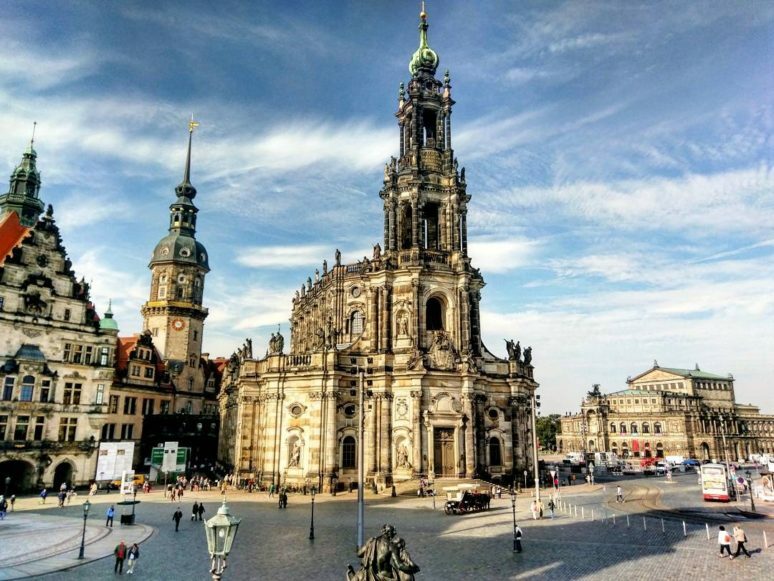 The church is perhaps Dresden’s most famous landmark and the image of it in ruins is known worldwide as a symbol of the destruction of World War II. 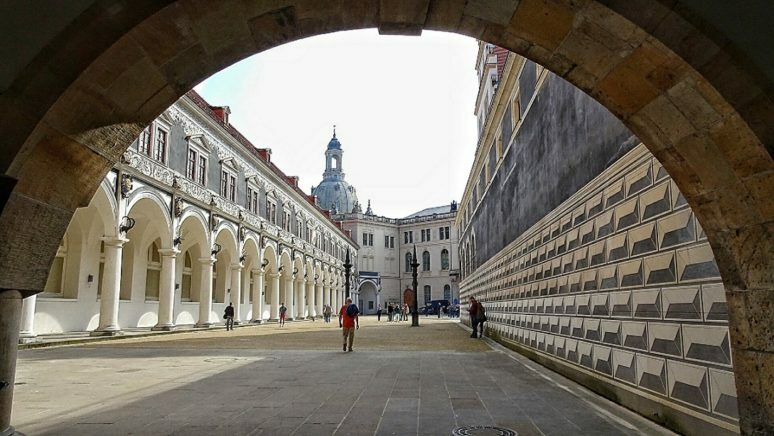 The Dresden Castle is another remarkable landmark and one can enjoy views of the city by walking along the castle walls. 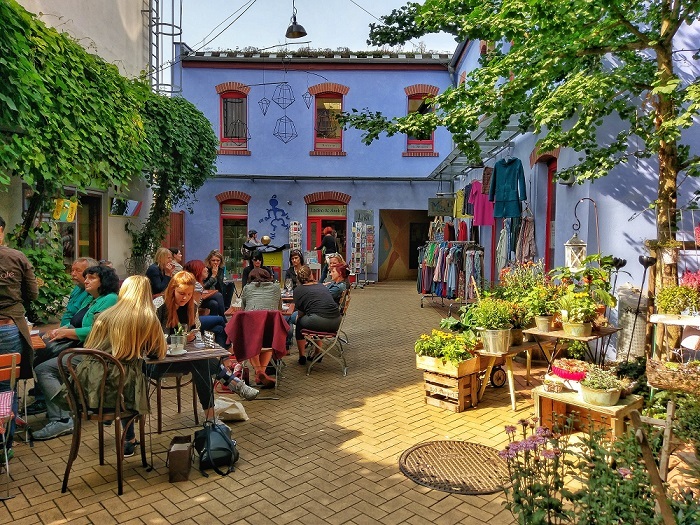 A trip to Dresden can’t be complete without visiting and dining in one of the lovely restaurants in Kunsthofpassage in the area called Neustadt. 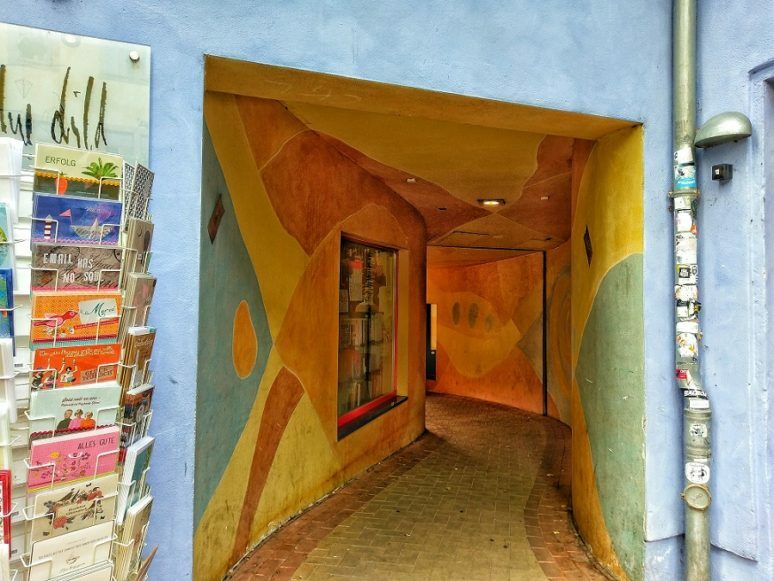 This is a beautiful small passage which is decorated to resemble an Art Gallery and has some of the best restaurants with interesting menus as per TripAdvisor. 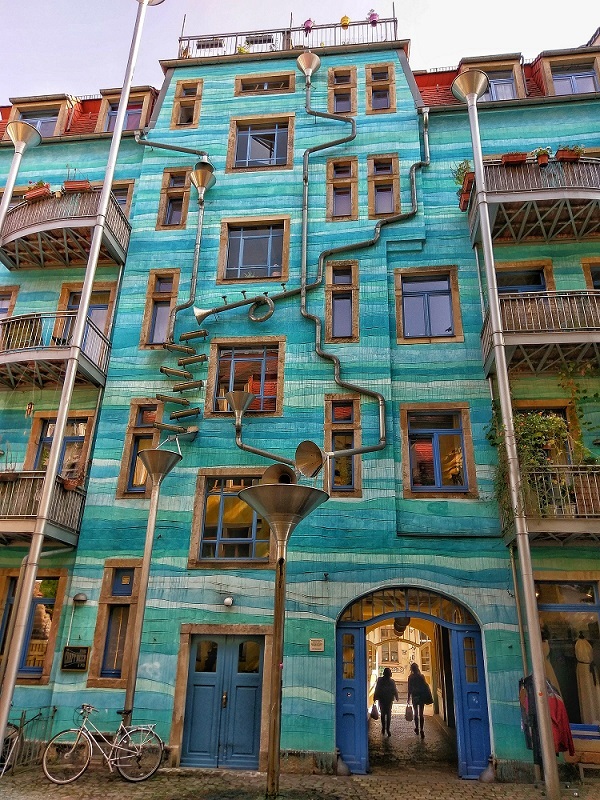 The area of Neustadt is also known for its nice alleys with street art and great night life. 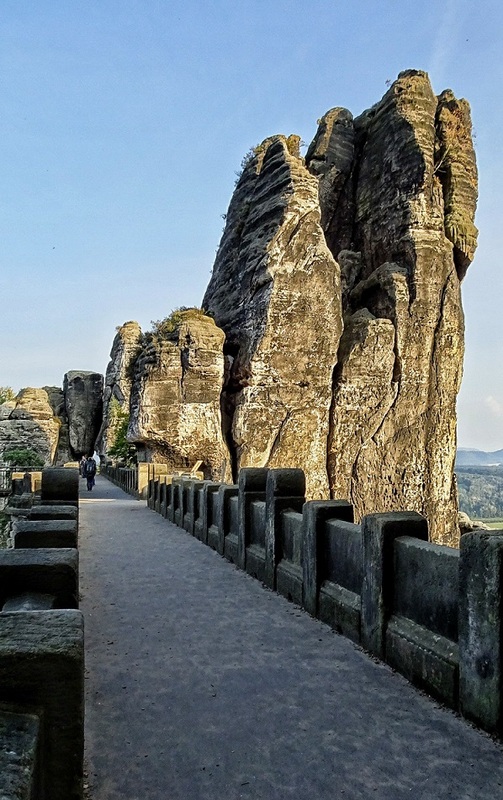 The Bastei is a rock formation towering 200 metres above the Elbe River in the Elbe Sandstone Mountains of Germany. These canyons were formed by water erosion over a million years ago. The place became such an object of fascination that in 1851, a bridge linking a number of the rocks was constructed, and is itself something of a marvel of Victorian age engineering. 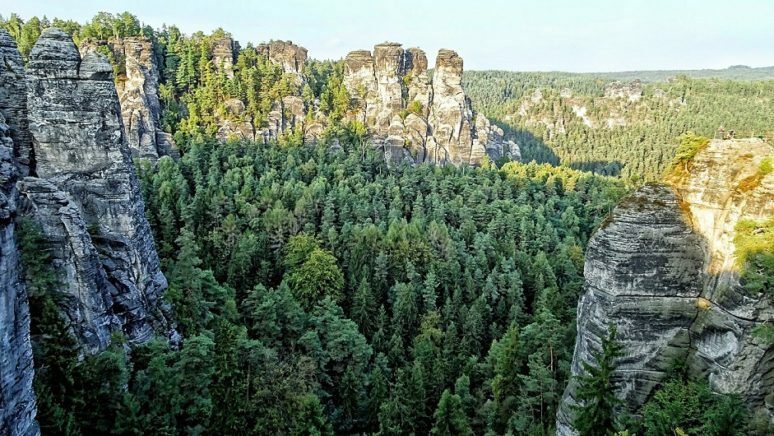 The Bastei bridge rises above the Elbe river and provides great views of the rocky sandstone cliffs. The bridge doesn’t really lead anywhere but simple spans a number of huge rocks which make up the Bastei formation. 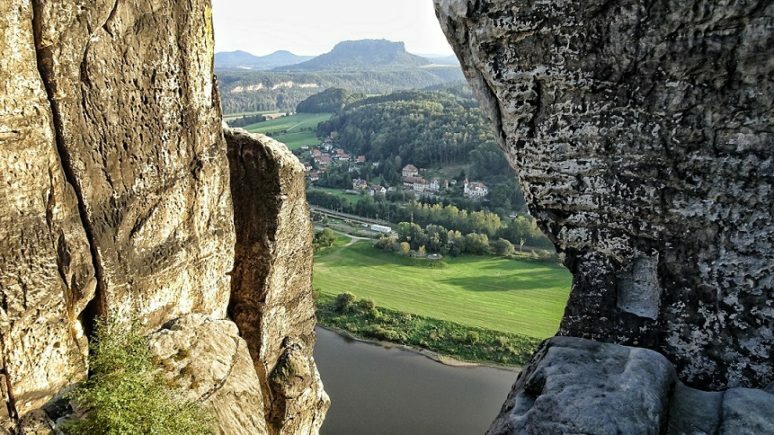 Bastei is a part of Germany’s Saxon Switzerland National Park. You can either take a full day guided tour of the National park which starts from Desden or just visit the places you wish to. Given the time, I was interested in the Bastei, and I changed 3 buses to get to the place, which took around 1.5 hours. 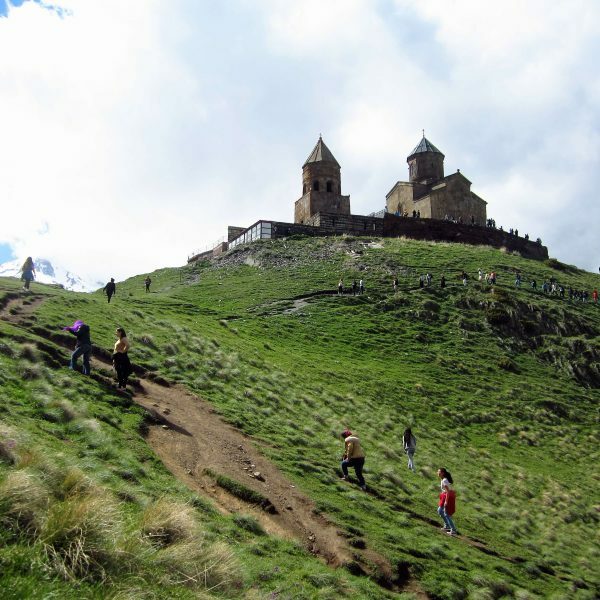 The bus dropped me right at the entrance leading to the bridge, so it was quite convenient. 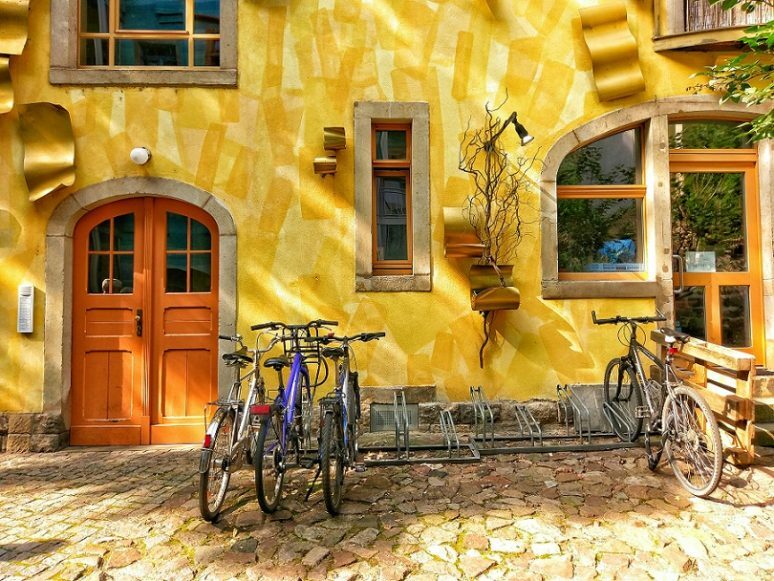 Do you have any tips for weekend trips in Germany? Let us know in the comments below!